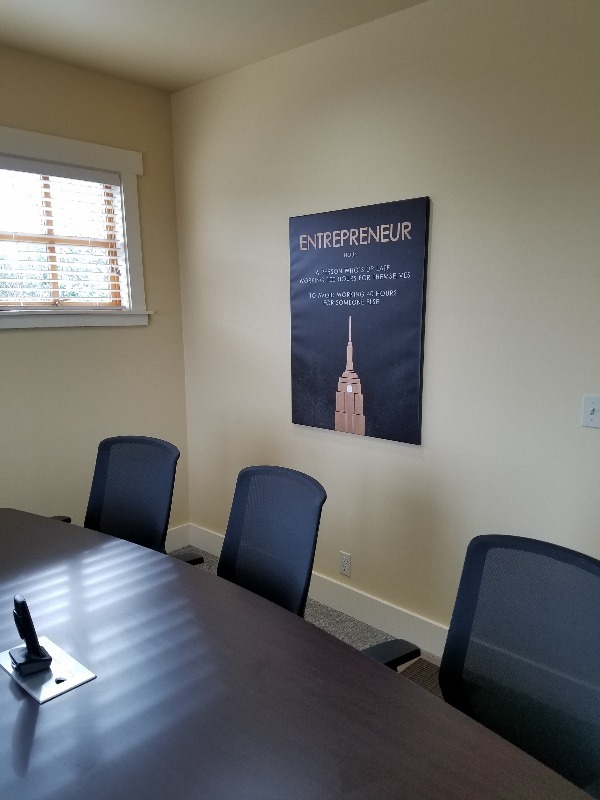 Featuring the quote, "Entrepreneur: Noun - A person who is up late working 100 hours for themselves; to avoid working 40 hours for someone else." The future belongs to those who believe in the beauty of their dreams. Keep hustling because if you don't, your competition will; living out your dreams. I could not contain my happiness once I saw the actualy canvas art! I never saw anything so breathtaking. There's something motivating about a canvas art that depicts nature in such a surrealistic way. The colors and texture just lure you in and inspire you! This piece got me addicted - in a good way, of course. Everytime I looked at it, it inspired me! I could not find a better piece to hang above our bed. My husband and I were so happy!